ORION, a luxury waterfront condo where the location and scenery change daily to suit your whim. 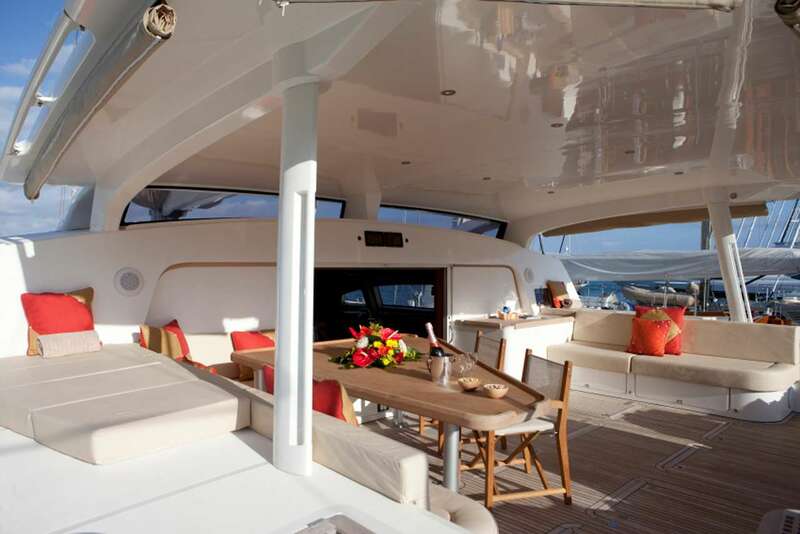 Her spacious interior offers flexible accommodations for couples and families. 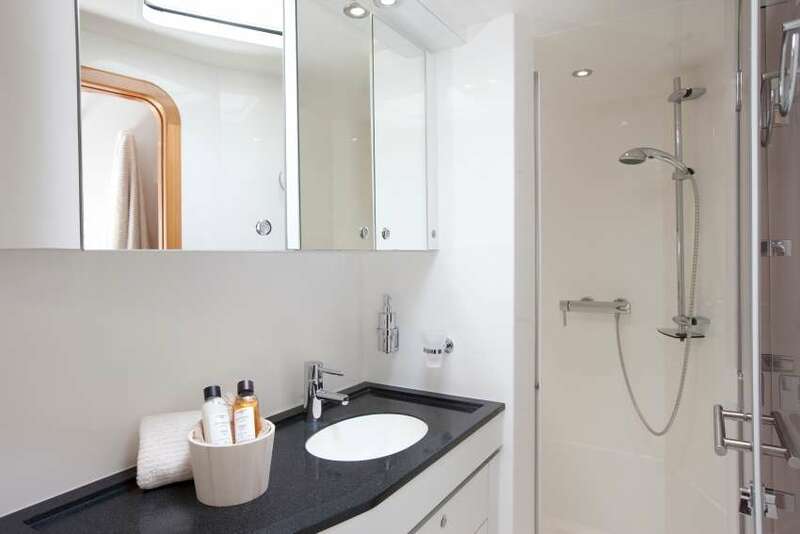 The starboard pontoon houses the king master stateroom with its huge en suite bath and the ‘family apartment.’ This unique suite has two connecting cabins and one large bath with a vanity, toilet and shower. One cabin has a king size bed. The adjoining kid’s cabin, dubbed the "Pirate's Den", has two double beds plus a smaller child’s bed 2’ 6 by 4’ 6 – perfect for older kids or a nanny and younger children. 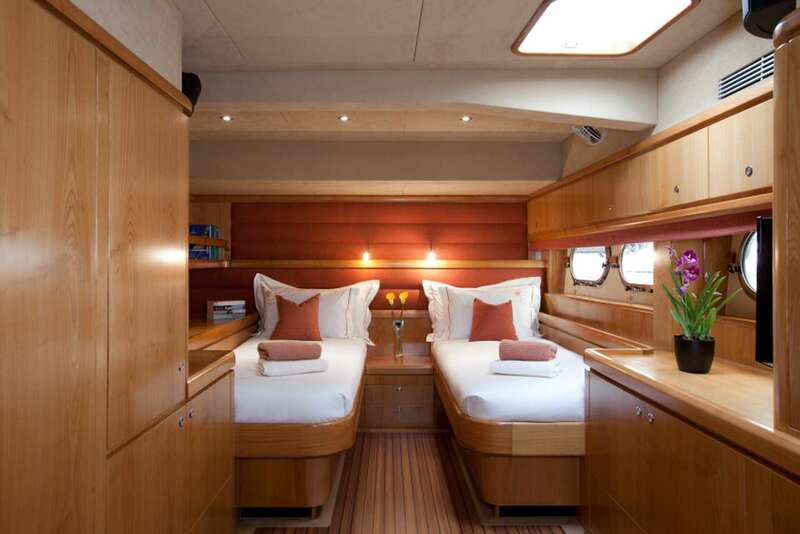 The en suite VIP stateroom can be configured with one king bed for a couple or two single beds. Each stateroom has individual A/C controls, CD and DVD players and portholes that look out to the horizon. Indoor and outdoor salons offer choices for dining and lounging throughout the day and into the evening with meals prepared by your personal chef. Two swim platforms, two deck showers, two dinghies and plenty of water toys keep guests of all ages as active as they wish to be. 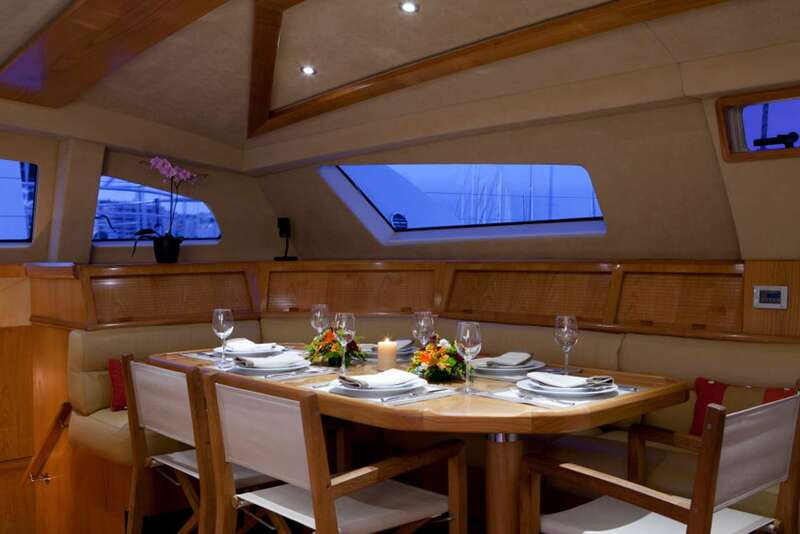 ORION carries a professional crew of 4, Captain, Chef, Stewardess and Mate who are dedicated to creating the vacation experience of your dreams. ORION is a NON-SMOKING VESSEL. 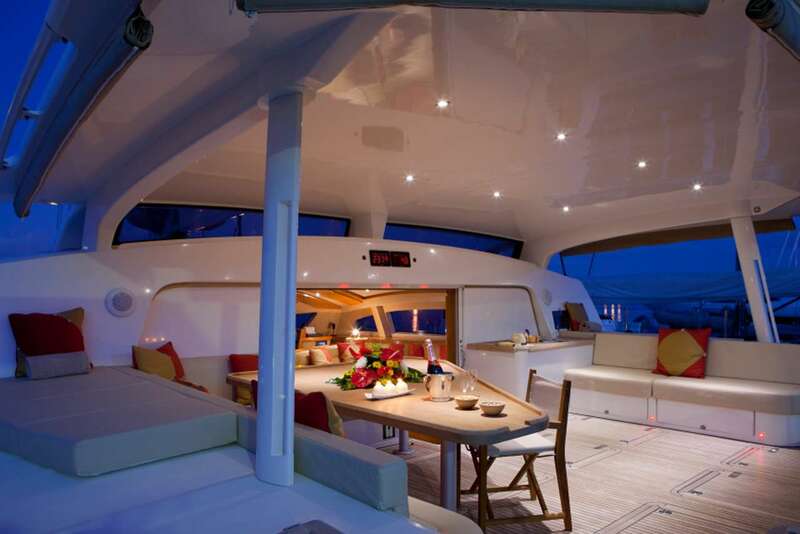 ORION accommodates 8 guests (plus one additional small child) in 4 cabins. The Master suite has a king size bed and large bath with shower and toilet. 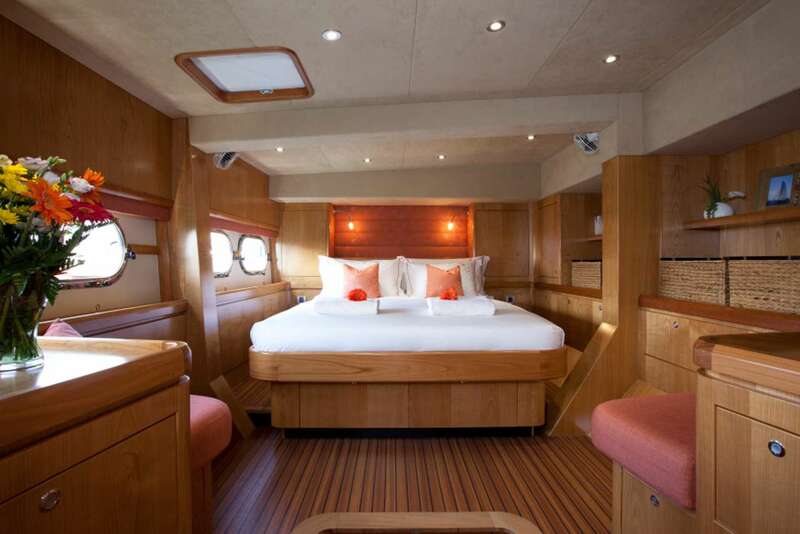 The VIP suite has a king size bed that converts to twin lower singles, a shower and toilet. 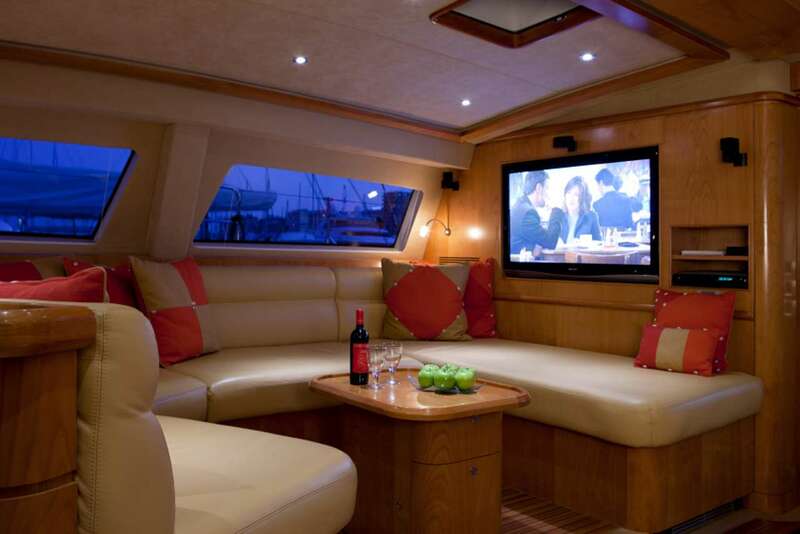 The family apartment comprises 1 king cabin with a full bath shared with a second cabin for children and/or a nanny. This cabin, dubbed the "Pirate's Den", has two smaller doubles and a child's bed 2 1/2 feet wide by 4 1/2 feet long. The family apartment has 2 connecting cabins and one bath with a shower and toilet. 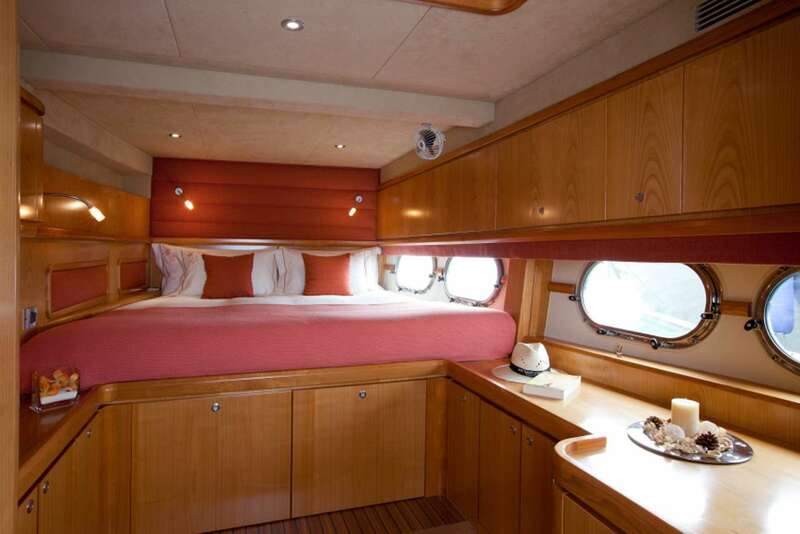 One cabin has a king size bed. The second cabin, dubbed the "Pirate's Den", has two double beds and a smaller child's bed - 2 1/2 feet wide by 4 1/2 feet long. This cabin is ideal for older kids or younger ones with a nanny. Crew shares companionway. Crew quarters have a separate head and shower.